Another day, another ‘apology’ for screwing up from Wells Fargo. Six months after the Fed Slammed Wells Fargo with unprecedented sanctions – no more total asset growth until it cleans up its act – because of a pattern of consumer abuses and other lapses, that list grew over the weekend when the firm said it may have improperly foreclosed on 400 home loans. The American Banker adds that the company accrued $8 million in the second quarter to remediate customers that may have been affected by an automated miscalculation of attorneys’ fees between April 13, 2010, and Oct. 20, 2015; and it may pay out more in the future. “To the extent issues are identified, we will continue to assess any customer harm and provide remediation as appropriate,” Wells said in the filing. 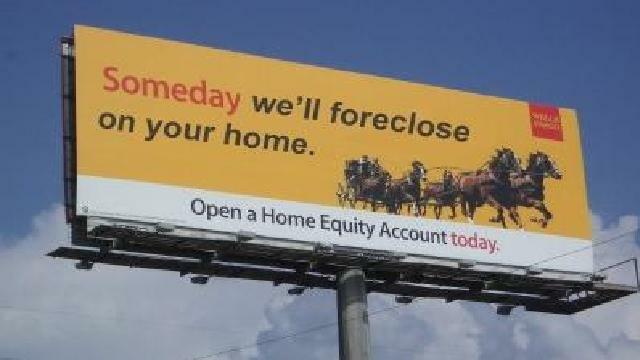 Laura L. wells Fargo stole my home from me after paying on it 10 years.. Where is my apology? I agree. Screw you Wells Fargo! Lost my home for absolutely no reason! I want justice!!!!! MY MOTHER IS HOMELESS RIGHT NOW BECAUSE OF THIS!